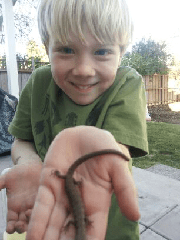 A few weeks ago I captured a lizard for the boys. They thought I was the best Mom EVER. I managed to capture the sheer look of joy on Elliott’s face. It makes a Moms heart smile.